When I here at Manav Parivar the day before the medical camp which was operated every 2nd and 4th Sunday of the month. I was looking around the camp area to focus on what to share with you. And I reached with their medical store. So the day of medical camp, I took some shots of it. You can see in this picture is a medicines dispensing outlets for patients. 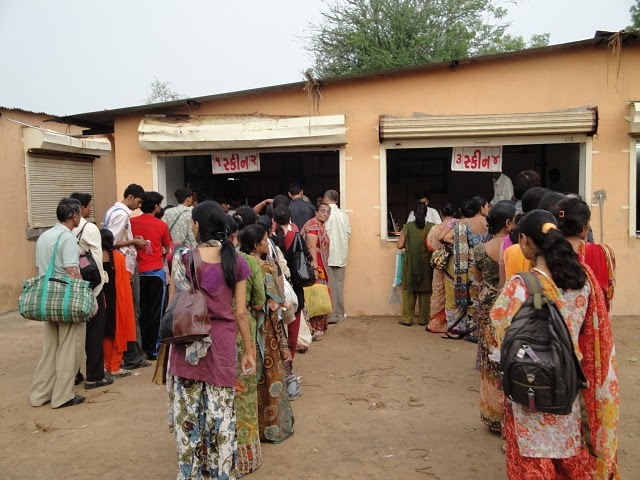 Manavparivar provide free medicines to all patients in their medical camp. The medicines they get there was prescribed by the volunteer doctors after they were checked and diagnosed. There are several lines there where patients stand. 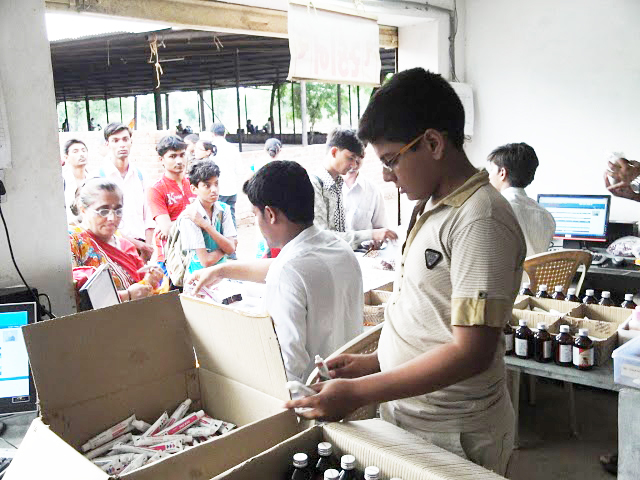 And also there are many volunteers there in the store to give the medicine to the patients what they needed. As you can see in this closer look inside the medicines outlets you can see many volunteers. You maybe notice that some volunteers are young ones, teenagers. They love to give their free service to many people just like their parents who also serves as volunteers. All of this was organized by Manav Parivar. Many people went there. Word by mouth they come to know that Manav Parivar is giving free medical camp to people.